The recipes in the Furry Friends Cookbook can be prepared as occasional treats for dogs and cats but are not meant to replace their daily diets or to address their essential nutritional needs. Try serving home-cooked meals once a week as an alternate to commercially prepared pet food. Recommended for all recipes: Add multi-purpose canine and feline vitamins in the preparation of recipes to provide optimum nutrition for your pet (s). Use a mortar and pestle to crush the vitamins into a fine powder, and then mix well with the other ingredients. 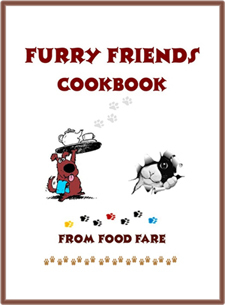 The Furry Friends Cookbook is available in Kindle, Kobo, Nook and PDF editions. Select your preference and get cooking! Take a look inside the Furry Friends Cookbook with our exclusive screenshots. 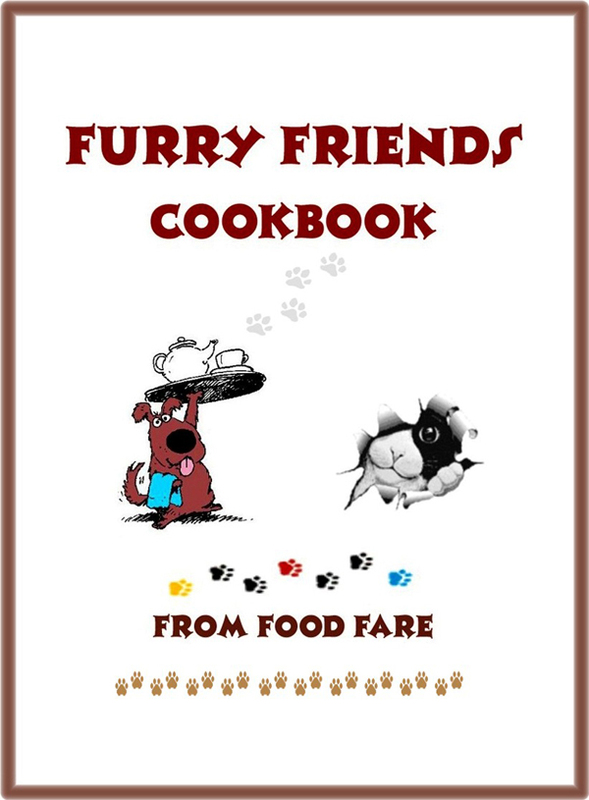 See a complete list of recipes in the Furry Friends Cookbook and view free samples.